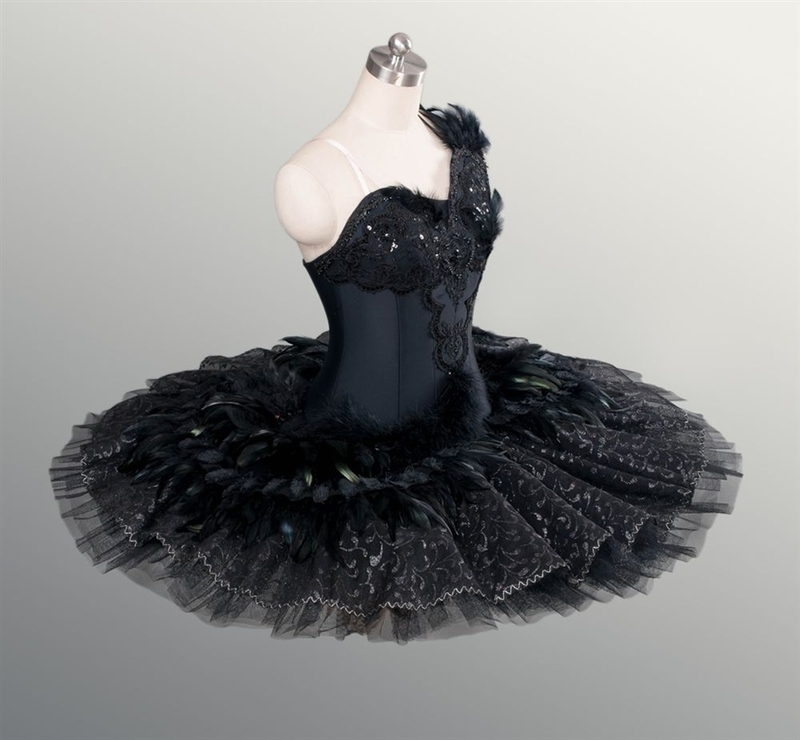 • Black is the primary colour of the tutu. The dark colour sure you be the one was out standing. The black petals surround the V insert makes the dress look lively and adds a bit of character. 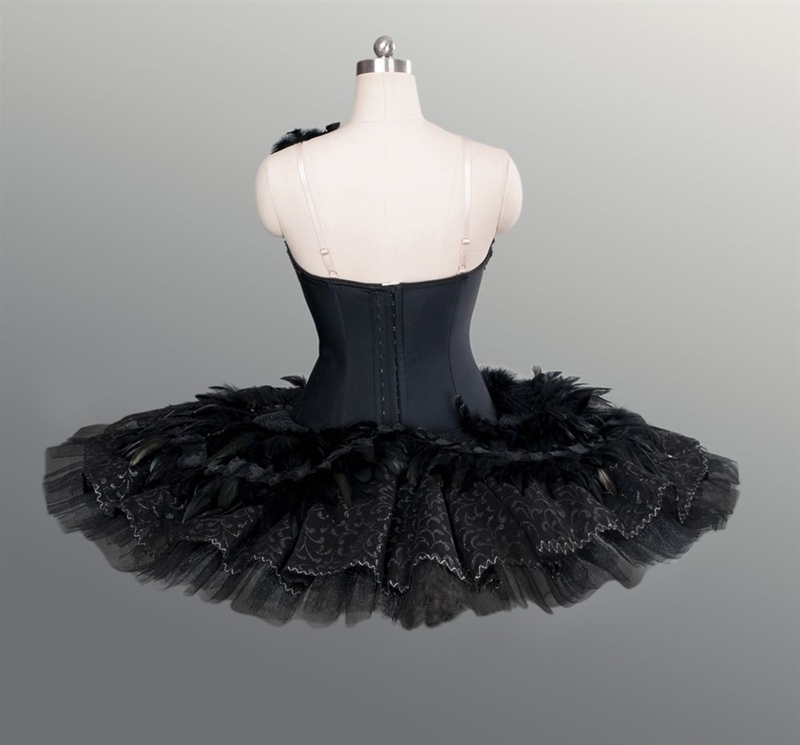 Grey vines encircle the centre of the tutu. 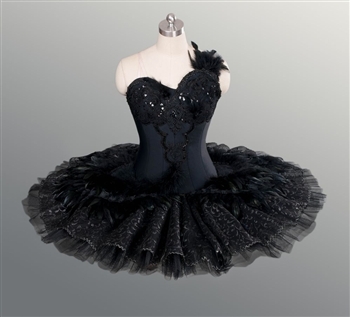 This tutu is just an absolute stunner. • The dark V insert at the front, is shaped to fit the body perfectly, surrounded with sparkling sequins and beats all hand sewed on. 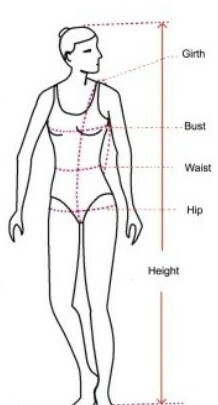 • The leotard has 8 panels shaped to provide the perfect fit.